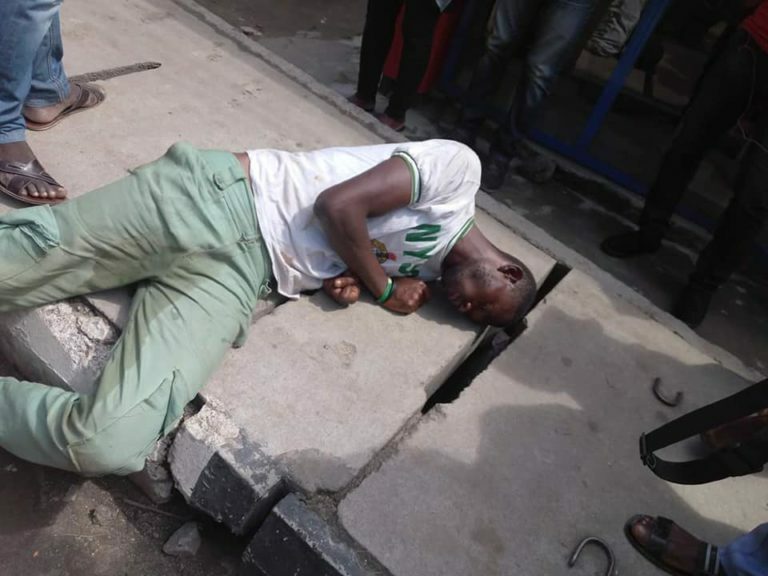 The family of a serving member of the National Youth Service Corps (NYSC) who was found in an unconscious state two days ago in Lagos have been called upon to come to his aid. While some think that the corper was seriously sick, others have argued that he might have taken hard drugs before the collapse. It was gathered that the Youth Corper identified as Babatunde Sodiq Bello, said to be a graduate of University of Benin, Edo state and passed out from the Adamawa orientation camp, was found laying on the ground after urinating on himself in an ‘unconscious state’. Passersby who saw him – got his identity from the ID card found in his waist purse. 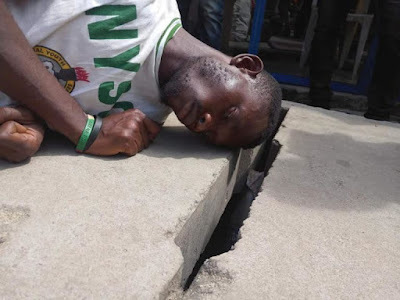 He was rushed to the general hospital in Gbagada by Lagos Neighborhood cops. No further report has been given about his condition.